On 24 January Thai Aviation Industry Company Ltd. or TAI and Lockheed Martin and the U.S. Air Force and Air Force Thailand held Ceremony launches first F-16AM/BM 2 of 18 machines through the Mid-Life Upgrade MLU at the Technical Services Department of TAI Office. In the ceremony, the ACM Sarit Pong Kota gladness Deputy Air Commander as Represented the Chief of Air of Thailand, HE Kristie Kenney U.S. Ambassador to Thailand as representatives from the U.S., Air Vice Rochard C. Johnston, Assistant Deputy Minister of the Air Force (Assistant Deputy Under Secretary of The Air Force) is representatives of the U.S. Air Force, The TAI and Lockheed Martin company officials, including officers of the Air Force attended the ceremony. 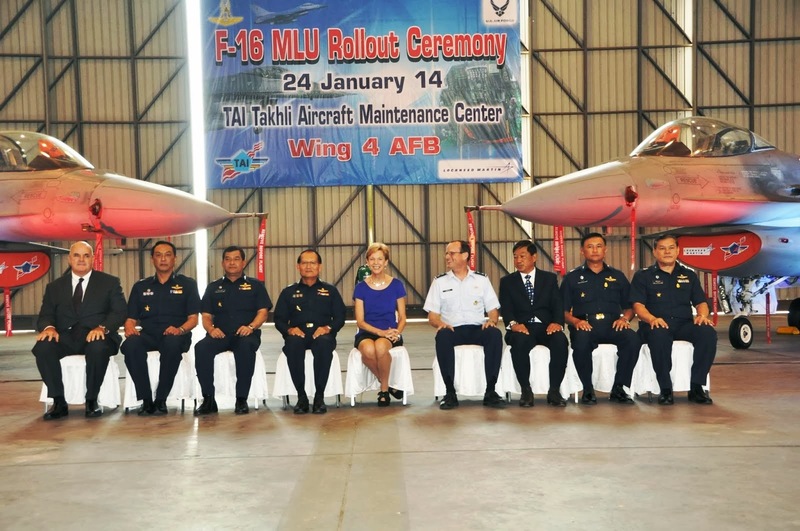 Inside the ceremony, Ambassador Kristie Kenney said, "I feel proud that the United States has partnered with Lockheed Martin and TAI by improvements made F-16 Air Force Thailand to step up to world level and meets the top fighter of the ASEAN countries, NATO and the U.S. Air Force. This is an exciting partnership and increase the ability to work together with the U.S. in all areas throughout the world to make people's lives more secure, whether in Asia or in other areas around the world, this is what we are proud to". The Air Vice Rochard C. Johnston said, "The Improved F-16 Air Force in Thailand will increase the capacity of the Thailand Air Force, Sniper, and with Link 16 bulbous helmet mounted sight JHMCS to make the Thailand Air Force and U.S. closer to F-16 series will have the ability to exercise global Thailand hosted Cobra Gold and Cope Tiger include being a key Thailand Air Force to continue ". On the one Air Chief Marshal Sarit Pong Kota gladness love, said, "This is the pride of Thailand, because of the aviation industry, we have progressed to the next level because the engineers on this project in Thailand. There are only advisory and project control, only the engineers from Lockheed Martin project is a major project to improve the F-16 Block 15 to the modern equivalent of Block 50, in particular systems Datalink radar systems, self-protection to have more efficient newly installed radar detector that is the radial distance up ". - as well as weapon systems, air to air missile : medium-range air-to-air AIM-120C-5 AMRAAM and rockets. Air Force will continue to improve the F-16A/B and 17 vessels of squadron 403 and led to the replacement of squadron 103 had been stationed in a herd of 403 to 1 ships, including 18 aircraft and will maintain F-16A/B Block 15 OCU in the squadron of 103. 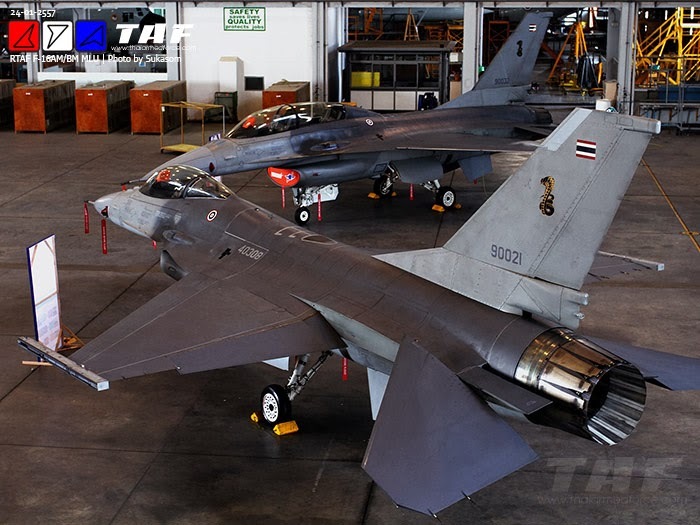 Next to start the project, including preparation of replacement fighter F-16A/B ADF are to disband in no time. 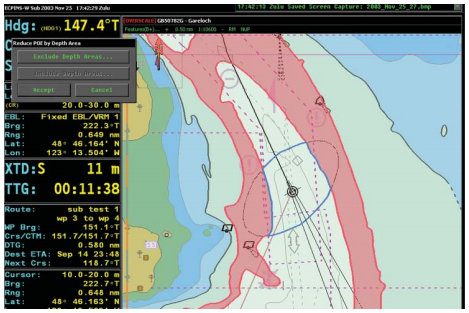 Vancouver, BC, Canada - OSI Maritime Systems (OSI) is pleased to announce that it has signed a contract to provide in-service-support for its ECPINS-W Sub software. The software is in service across the Royal Australian Navy fleet. Under the terms of this contract, OSI will provide software upgrades and engineering support services over the next three years. 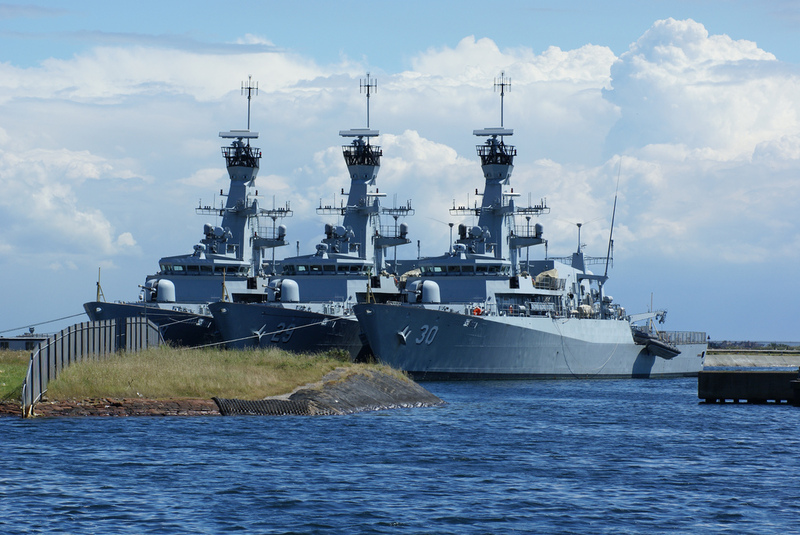 OSI has been supporting the Royal Australian Navy warship integrated navigation system requirements since 2004. This recent contract confirms their on-going commitment to the Company’s technology. 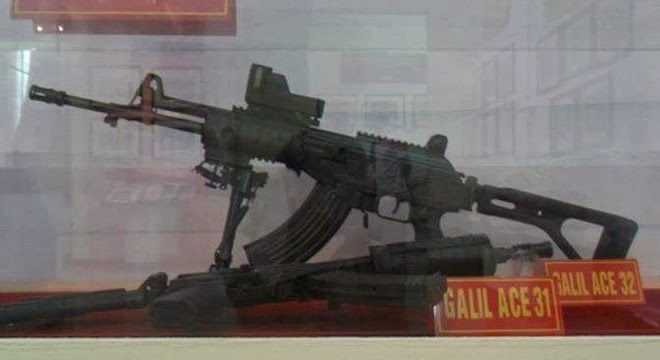 Vietnam will Replace Russian Kalashnikovs with Israeli "Galil"
Moscow. 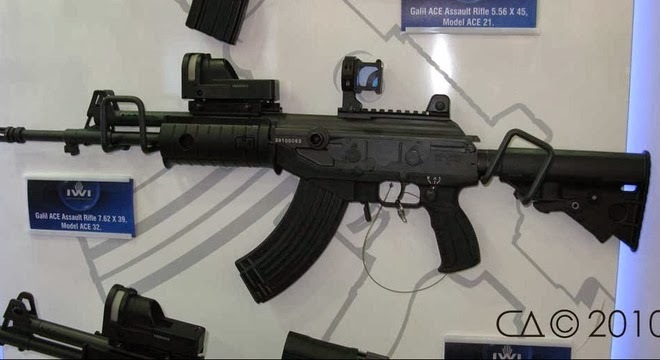 INTERFAX.RU - Israeli company Israel Weapon Industries (IWI) Launches Vietnam factory to manufacture assault rifles (assault rifles) "Galil" (Galil) 31 ACE models (compact) and ACE 32, which in the future will replace Kalashnikovs. 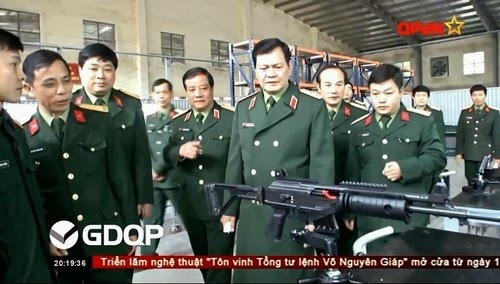 About the beginning of the local assembly of two types of machines, Israeli television channel said the Ministry of Defence of Vietnam QPVN in a report on the visit of Deputy Defense Minister Lieutenant General Nguyen Thanh Chung Z111 on a weapons factory in Thanh Hoa. The report noted that in the near future will be deployed Israeli mass production machines, which will gradually replace the Russian AK-47, were armed with the Vietnamese army. Earlier, Israeli news portal "Globe Israel" also reported that the company won the tender IWI and awarded a contract worth $ 100 million to build a plant in Vietnam to produce their machines. 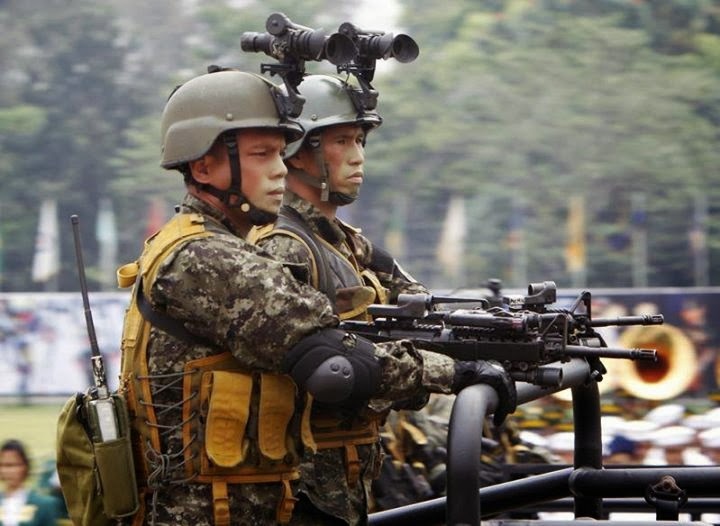 The Philippine Army's (PA) major acquisitions under its so-called "medium term" phase of modernization program will focus on improving its firepower, communications and night fighting capabilities. Capt. Anthony Bacus, Army spokesperson, said that this phase started this year and will end on 2016. He said the acquisition of heavy weapons, communications equipment and night-fighting devices has an estimated funding of P8 billion. 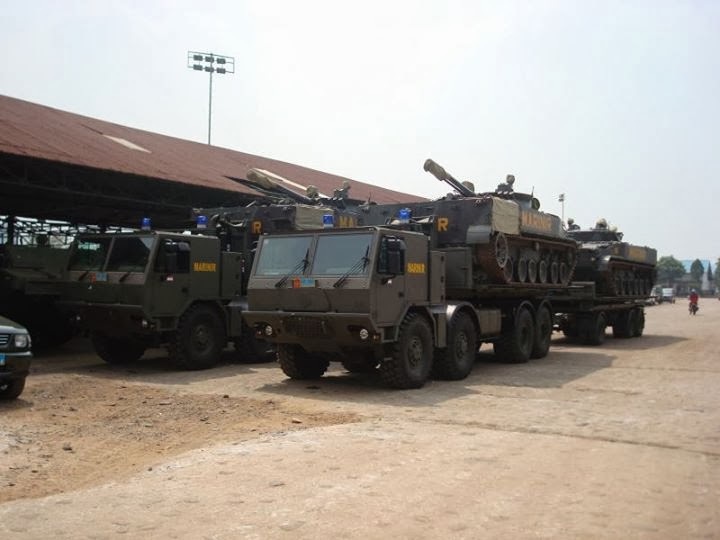 These equipment will make the PA a more credible territorial defense force once acquisition is completed. However, Bacus did not give specific details on what particular weapons and platforms are in the pipeline, as the group that will plan the acquisition is still yet to convene. "The concerned offices cannot yet give the details because talks are still to convene for these projects," Bacus stressed. The Department of National Defense (DND) earlier said that it is planning to acquire a shore-based missile system for the PA. This project has contract amounting to P6.5 billion. Patrick Velez, DND vice chair for the bids and awards committee, said, once acquired, the weapon will be placed under the control and supervision of the Army. 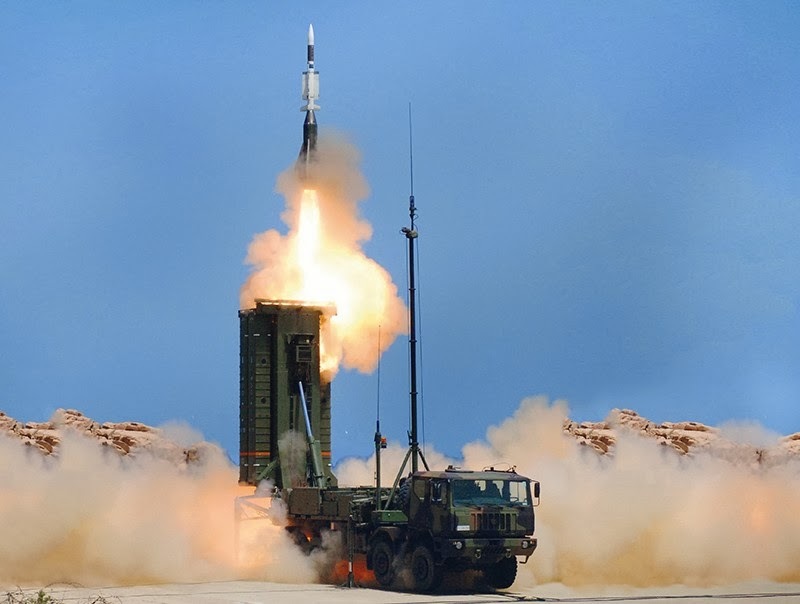 The shore-based missiles will be carried out through “limited source bidding". No other details were given for security reasons. Malaysia does sign for its Tiger HAP? 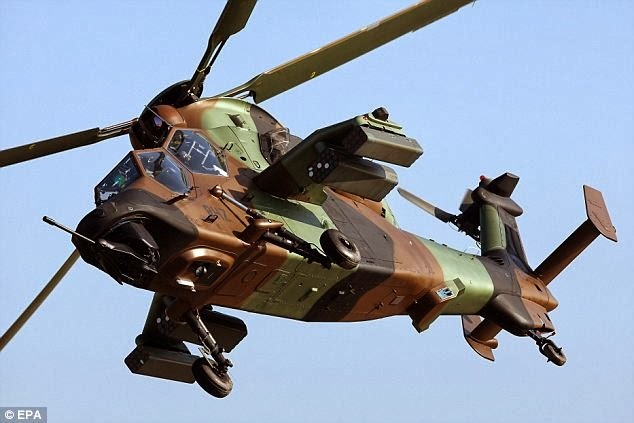 This is a case that lasts for months already: the sale of six attack helicopters Tiger HAP (Support Protection) used in Malaysia, which showed for a long time its desire to strengthen its capacity to support close fire. Taken from the stocks of the Light Aviation Army (Alat) and delivered to "Standard 1" or the one currently used by France in overseas operations, these helicopters have been delivered from the beginning of the year 2014. But the signing of the contract does not come. "This project equipment had experienced a big boost early last year," says a close case. Early 2013, Malaysia is experiencing a difficult security situation, linked to land claims Philippine rebels on the state of Sabah in effect. Events which led to several weeks of military action (Operation "Daulat"), mobilizing many local air assets. 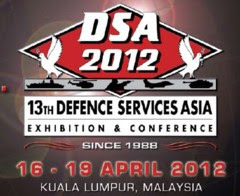 As early as July 2013, the French offer comes on the table Malaysian military, while wishing to have helicopters early 2014. The agreement provided for the delivery of Tiger HAP set configuration "Standard 1", but the missile capacity of the new standard just HAD to arrive unit. Helicopters are therefore fitted with formidable 30mm cannon, rockets and possibly air-to-air Mistral missiles. 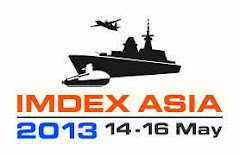 Since the pressure is slightly settled and signed long in coming, but the French team remain confident and hope to properly hang the sale to their list of 2014 the Asia-Pacific region rich in opportunities in the short and medium term for the French defense industry. Kuala Lumpur is already good customer of Airbus products Helicopters, with a recent order of 12 EC725 Caracal whose deliveries began in December 2012 and are now completed. The end of January saw the 19-tonne Oto Melara 76mm gun turrets being refitted to the Nakhoda Ragam class corvettes which have been stored in Barrow since 2007 as part of the preparations for their transfer to the Indonesian Navy. 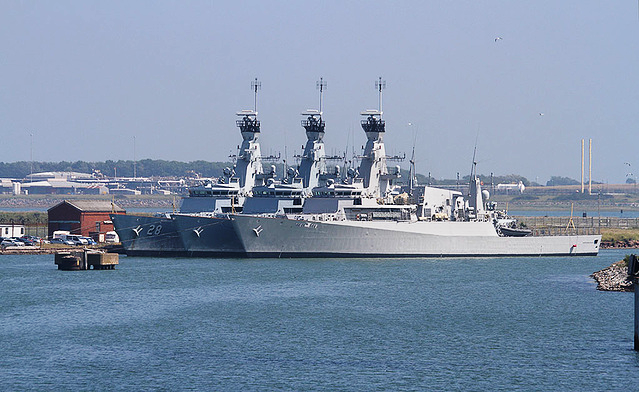 The three corvettes KDB 'Nakhoda Ragam', KDB 'Bendhara Sakam' and KDB 'Jerambak' have been acquired by the Indonesian government from Brunei for the Indonesian Navy. Brunei originally ordered the vessels in 1995, but refused to take delivery of the vessels in 2002, the contractual dispute was settled by arbitration in 2007 in favor of BAE systems and three ships where handed over to Brunei. 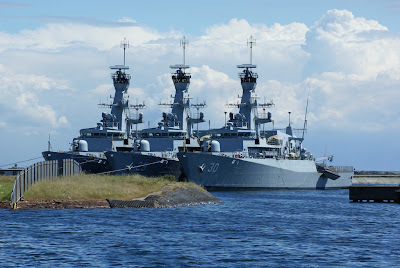 The three vessels where then moved to Barrow, where they have been maintained by James Fisher Marine Services, under contract to the German Lürssen shipyard, who had been contracted by Brunei, to build three Darussalam class OPV and four Ijtihad class corvettes for the Brunei Navy as a replacement for the non-delivered Nakhoda Ragam class corvettes. It is understood that Indonesia has paid just a fifth of the original £600m value of the three vessels which are now expected to become operational with the Indonesian Navy during 2014. Dela Cruz, who graced the 35th anniversary celebration of the PAF Second Air Division yesterday, said they are converting four helicopter gunships into air ambulances. He also revealed that President Benigno Aquino III approved their request to buy two more C-130 aircraft. The PAF has three C-130 planes. “As part of our capability upgrading program, the AFP (Armed Forces of the Philippines) will also buy three medium-lift aircraft. These are lower versions of the C-130s. If this will materialize, we will have eight cargo aircraft,” Dela Cruz said in an interview. But the process of procuring aircrafts, he said, takes at least two years. During a program at the Brigadier Gen. Benito N. Ebuen Air Base in Lapu-Lapu City, Dela Cruz commended the Second Air Base Division, headed by Maj. Gen. Romeo Poquiz, for their accomplishments last year. Poquiz, in a speech, said the PAF was the first agency to deliver relief goods to survivors of super typhoon Yolanda, particularly in Tacloban, as many roads were impassable because of debris. “It was the air force that responded first and delivered the support,” he said. The Second Air Division, in an audio-visual presentation, reported its accomplishments last year, the highlights of which include its participation in the rescue and retrieval effort following the sea collision off Talisay City, as well as in the oil spill cleanup; transporting relief goods to earthquake victims in Bohol and to the typhoon victims in Leyte, northern Cebu, Samar and other badly hit areas. During the program, awards were given to PAF officers for their outstanding performance last year, and to civilians who gave extraordinary support to the air force. Dela Cruz said the air force continues to help in the rehabilitation effort of typhoon-ravaged areas, particularly in the transport of relief goods. In his speech, Dela Cruz stressed the need for the air force and all sectors to be prepared for stronger typhoons. “This year might not be different. It’s much better to be prepared. We have to develop our strengths, as well as our weaknesses,” he said. He underscored the need to intensify trainings of air force personnel. “We normally maximize the summer period for training,” he said. Dela Cruz also revealed that the air force will form an “air mobile engineering group”, which will bring bulldozers, payloaders and other heavy equipment via C-130 to isolated, disaster-stricken areas. TEMPO.CO, Jakarta - Kepala Satuan Angkatan Laut Laksamana Marsetio berencana membeli kapal selam kelas Kilo dari Rusia. Saat ini Indonesia sudah memiliki dua unit kapal selam tipe 209/1300 buatan Jerman. September 2013 lalu, Indonesia memesan dua unit kapal selam tipe U-209 yang kini dalam proses pembuatan di Korea Selatan. Meski demikian, kebutuhan kapal selam untuk mempertahankan teritorial maritim Indonesia masih dianggap kurang. "Idealnya kita butuh 12 unit kapal selam, jadi masih kurang lima unit lagi," kata Marestio. Duta Besar Indonesia untuk Rusia Djauhari Oratmangun mengatakan proses peninjauan kapal selam yang ditawarkan Rusia akan dilakukan pada Februari mendatang. "Tahap awal akan ada empat orang yang meninjau kapal itu. Dua kapal selam itu entah nanti dibeli dengan harga murah atau dihibahkan," kata Djauhari. Kapal selam kelas Kilo adalah kapal selam militer bertenaga diesel atau kerap dikenal dengan nama Project 877. Kapal ini berfungsi sebagai kapal selam anti-permukaan yang berfungsi di perairan dangkal dan mampu beroperasi dengan tenang atau tanpa suara. Kapal selam jenis ini memiliki persenjataan berupa delapan roket permukaan ke udara SA-N-8 Gremlin atau SA-N-10 Gimlet. Selain itu, kapal selam ini dilengkapi 18 torpedo atau 24 ranjau dengan enam buah tabung torpedo 533 milimeter. 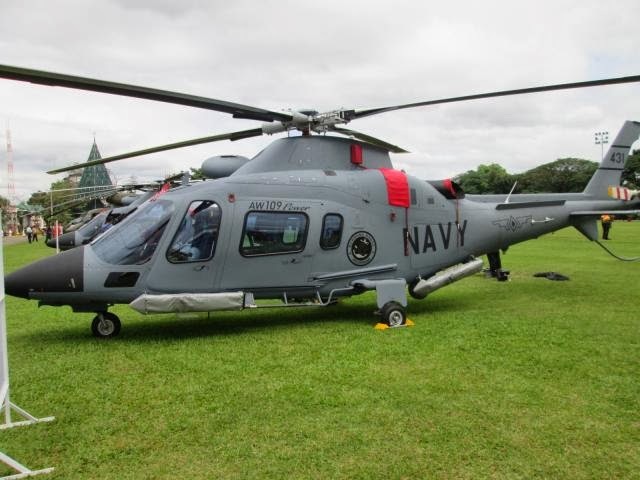 MANILA — The Philippine Air Force (PAF) said on Tuesday that two units of the attack version of the AgustaWestland AW-109 "Power" helicopters will be delivered this year. 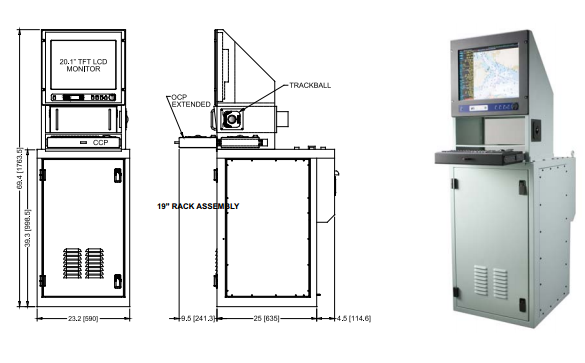 "Two units will be delivered by 2014 and (by) 2015 (the remaining) six units will be delivered. 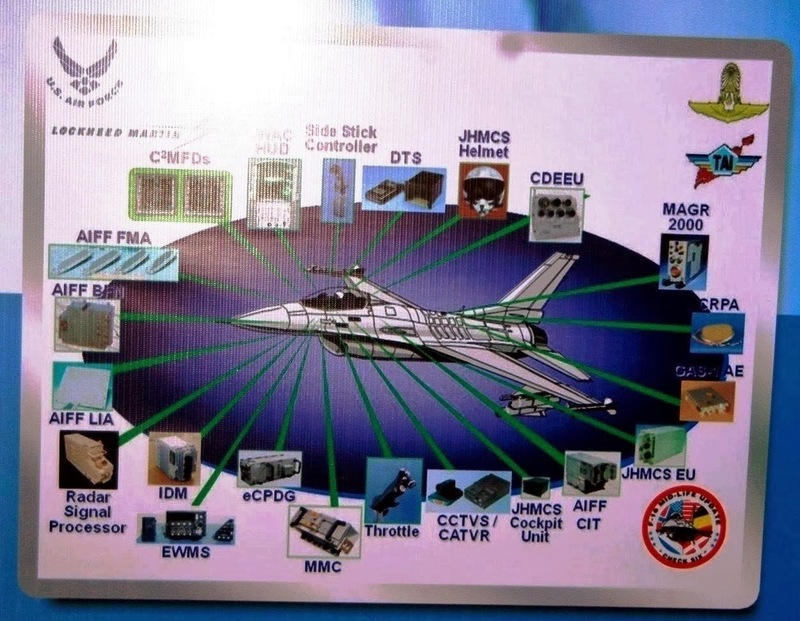 As per signed contract, two units will be delivered 365 days upon LC (letter of credit) opening," PAF spokesperson Col. Miguel Ernesto Okol said. He added that the pilots and flight crew who will man the brand-new aircraft have already been identified. "Pilot(s) and (flight) crew (are now) identified. However, the date for training is TBDL (to be determined later)," Okol said. The Philippines and AgustaWestland signed the P3.44- billion contract for the attack version of the AW-109s last Nov. 6. The PAF’s AW-109 "Power" configuration will feature a dedicated mission package and equipment, including a combination of weapon systems. “It gives us great pleasure to sign this contract with the Philippine Air Force, further reinforcing the already strong partnership with the Department of National Defense. This latest achievement provides clear evidence of the customer’s confidence in the product while we’ve demonstrated that we are a reliable partner, able to offer a cost-effective solution. We are committed to deliver the improved mission capabilities and high quality services the customer deserves,” AgustaWestland chief executive officer Daniele Romiti earlier said. The AW-109 "Power" is a three-ton class eight-seat twin engine helicopter. The aircraft’s safety and survivability features include a fully separated fuel system, dual hydraulic boost system, dual electrical systems and redundant lubrication and cooling systems for the main transmission and engines. The AW-109s' superior speed, capacity and productivity combined with reliability and ease of maintenance make it the most cost effective helicopter in its class for a range of government tasks. 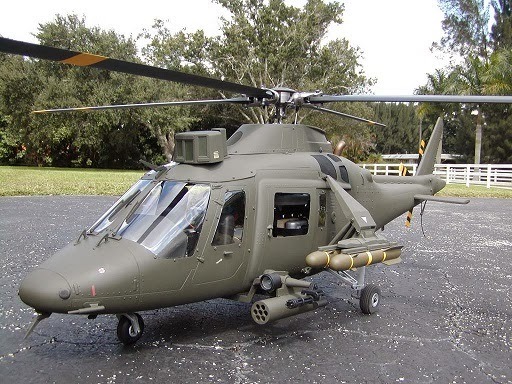 Over 580 AW-109 "Power" and AW-109 LUH helicopters have been ordered for parapublic, military and commercial applications by customers in around 50 countries. LANUD ISWAHJUDI (27/1),- Sebanyak 16 pesawat T-50i Golden Eagle pesanan Pemerintah Indonesia seluruhnya sudah berada di Skadron Udara 15 Lanud Iswahjudi, setelah dua pesawat terakhir Sabtu (25/1), tiba di Lanud Iswahjudi yang diterima langsung oleh Komandan Lanud Iswahjudi Marsekal Pertama TNI Yuyu Sutisna, S.E. Kedatangan kedua pesawat terakhir tersebut merupakan pengiriman tahap akhir setelah secara bertahap dimana ke-16 pesawat T-50i Golden Eagle, diterbangkan secara ferry dengan rute Sacheon Korea Selatan-Kaohsiung Taiwan -Cebu Philipina-Sepinggan Balikpapan Kaltim-Iswahjudi Air Force Base, oleh Penerbang Korean Aerospace Industries (KAI) ke Indonesia, mulai September 2013 tahun lalu. Menurut rencana, pihak Korea akan menyerahkan ke-16 pesawat Golden Eagle ke Pemerintah Indonesia bulan Februari mendatang di Lanud Halim Perdanakusuma, Jakarta, selanjutnya ke-16 pesawat Golden Eagle tersebut akan dioperasikan Skadron Udara 15 Lanud Iswahjudi sebagai tambahan kekuatan udara dalam mengawal dan mengamankan NKRI. Sementara sesuai kontrak yang telah dibuat dengan PT. KAI dalam waktu 2 tahun akan menyertakan techrep (Teknical Representative), untuk mengawasi pelaksanaan operasional penerbangan sekaligus sebagai tempat konsultasi para Teknisi Skadron Udara 15 dalam merawat maupun hal-hal yang bersifat perbaikan. Teknisi tersebut juga sebagai penghubung antara Operator di Skadron Udara 15 Lanud Iswahjudi dengan pihak Pabrik di Korea. 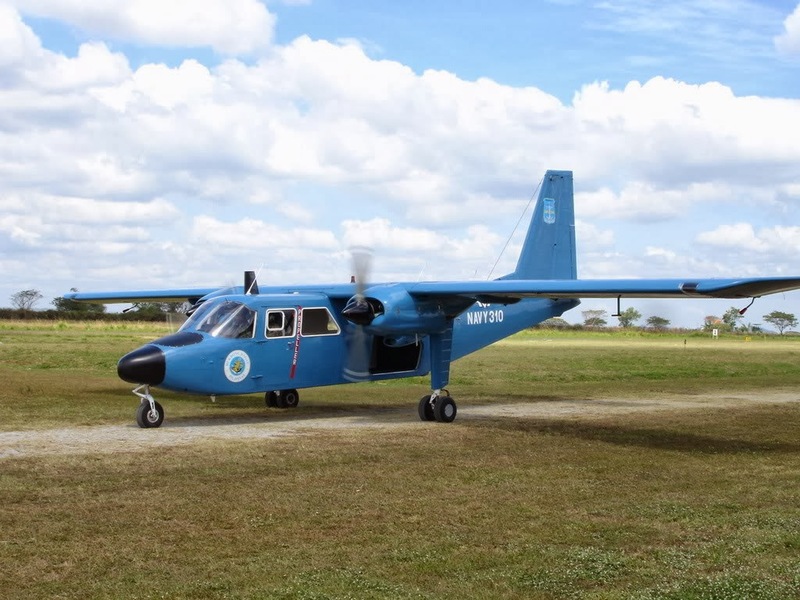 MANILA, Philippines - The Air Force is acquiring two new light lift aircraft from Indonesia to boost the delivery of supplies and personnel to remote areas. 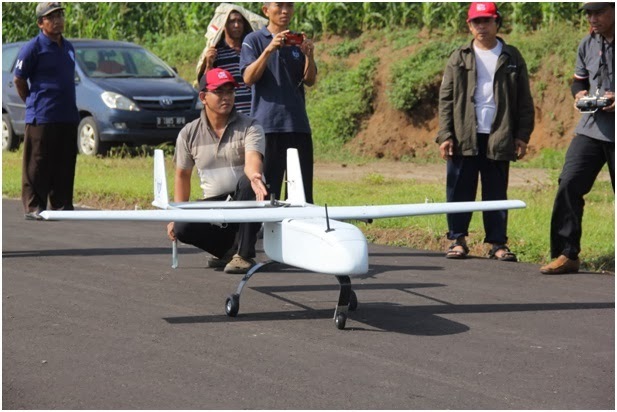 Indonesian firm PT Dirgantara Indonesia has won the bidding for the light lift fixed-wing aircraft acquisition project, worth P814 million. The STAR learned that the defense department issued the notice of award for the project early this month. 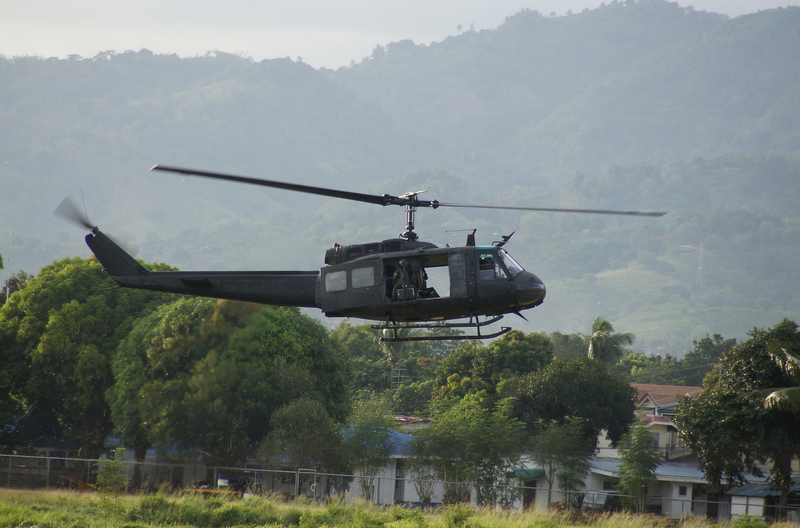 Air Force spokesman Col. Miguel Okol said the aircraft could land even in areas that do not have airstrips. 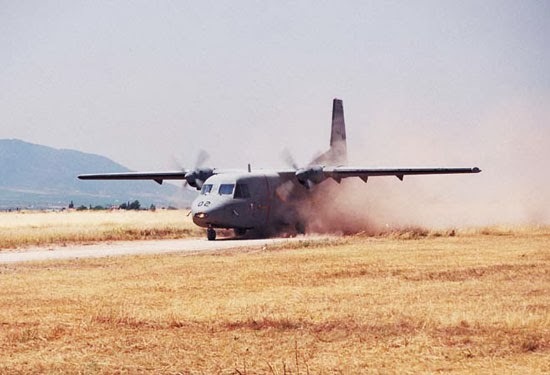 Larger planes like the C-130 and medium lift fixed-wing planes require long runways. “The light lift fixed aircraft can bring more goods than helicopters. 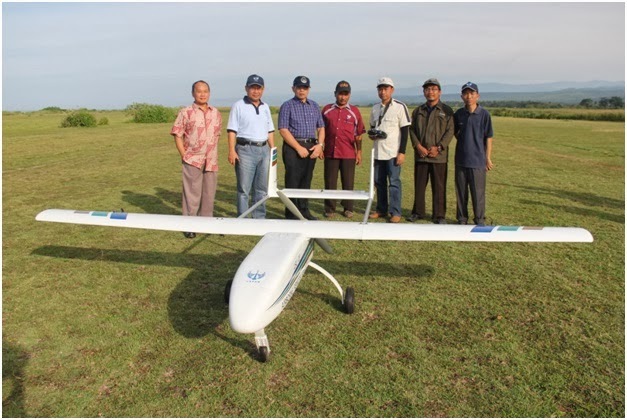 It can operate in areas with small runways,” Okol told The STAR yesterday. He said the plane is more flexible, particularly during disaster response operations. The air assets, Okol said, would ensure on time distribution of relief goods to far-flung areas. There are three light lift aircraft in the Air Force’s inventory. 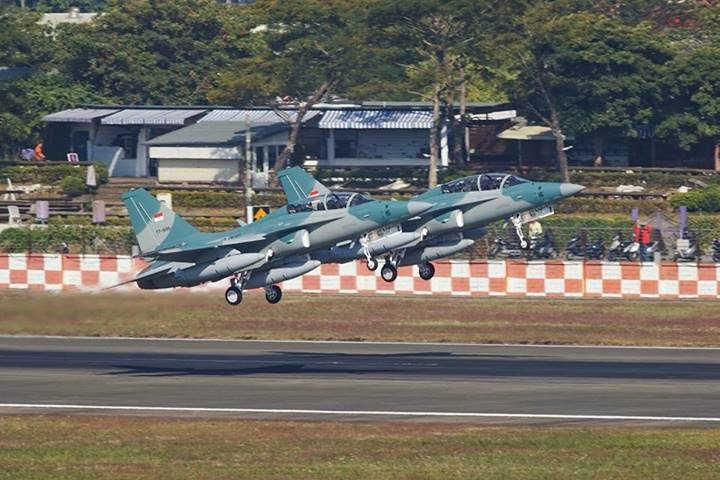 Defense assistant secretary Patrick Velez said PT Dirgantara would supply CN 212i planes to the Air Force, which is seeking to beef up its inventory following a series of crashes. The company is required to deliver the planes within 548 calendar days from the opening of letter of credit, which assures the winning bidder that the government will honor its financial obligations. The aircraft acquisition project aims to enhance the military’s humanitarian and security efforts. The plan was to buy an aircraft that can operate in any environment and will provide organic general support for territorial defense, internal peace and security plan, internal security operations, disaster response and national development. The Aquino administration has vowed to upgrade the capabilities of the military, said to be one of the most poorly equipped in the region. Other air assets to be acquired include lead-in fighters, long-range patrol aircraft, close air support aircraft, medium lift aircraft, C-130 cargo planes, attack helicopters and combat utility helicopters. Sebanyak 37 unit kendaraan tempur amfibi Tank BMP-3F buatan Rusia kembali memperkuat Alutsista TNI AL. Puluhan kendaraan lapis baja itu masuk jajaran Resimen Kavaleri Marinir, setelah diserahkan secara remi oleh Menteri Pertahanan (Menhan) RI Prof. Dr. Ir. Purnomo Yusgiantoro kepada jajaran Korps Marinir di Pusat Latihan Tempur (Puslatpur) Marinir, Asembagus, Kabupaten Situbondo, Jawa Timur, Minggu (27/01). Hadir dalam acara serah terima Panglima TNI Jenderal TNI Moeldoko, Kasal Laksamana TNI Dr. Marsetio, Pangarmatim Laksamana Muda TNI Agung Pramono, S.H., M.Hum, Dankorrmar Mayjend TNI (Mar) Faridz Washington, Duta Besar RI untuk Rusia Djauhari, Duta Besar Rusia untuk RI Mikhail Galuzin serta rombongan dari Komisi-1 DPR RI, pejabat teras Mabes TNI dan Kemhan. Dalam acara serah terima dilaksanakan penandatanganan naskah penyerahan 37 unit BMP-3F dari pihak Rusia ke Dephan kemudian ke Mabes TNI dan terakhir ke pihak TNI AL. Dalam konferensi pers dengan media, Menhan didampingi Panglima TNI, Kasal, Dankormar serta anggota Komisi-1 DPR RI Mahfudz Sidiq. Pada kesempatan itu Menhan mengatakan, selain kerjasama pembelian BMP-3F juga dilakukan transfer teknologi antara RI dan Rusia. Dalam hal ini untuk sistem dan senjata BMP-3F akan diproduksi di PT. Pindad. Menhan juga mengatakan Indonesia saat ini sedang menjajaki kerja sama untuk pembelian kapal selam Kelas Kilo. Jajaran Kemhan mengajukan spesifikasi untuk Alutsista tersebut diantaranya yaitu minimal Kapal selam tersebut mampu menembakkan misil pada saat menyelam. Selain itu spesifikasi lain yang menjadi perioritas yakni jangkauan misil dari kapal selam tersebut minimal 200 sampai 300 kilo meter. Mengutip dari konferensi pers tersebut Panglima TNI mengatakan akan meng-upgrade Panser Amfibi AMX-10 yang ada di jajaran Korps Marinir. Selain itu secara bertahap AMX-10 akan diganti dengan Alutsista yang baru. Selanjutnya Kasal juga menambahkan bahwa Panser Amfibi BTR-50 akan diremajakan dengan Alutsista baru pada Rencana Setrategis dua periode tahun 2015 sampai dengan 2019. Saat ini menurut Kasal, ada sebanyak 70 unit Tank BTR-50 masih memperkuat jajaran Korps Marinir. Pada tahap awal sebagai pengganti BTR-50 akan didatangkan sebanyak 55 unit Tank BTR-4. Dengan demikian Korps Marinir akan memilki satu Batalyon Ranpur BTR-4. “Pada Renstra dua dan tiga akan ditambah lagi satu Batalyon BTR-4”, kata Kasal. Dalam klausal kesepakatan kontrak di antaranya tertulis bahwa selama proses pembuatan Tank Amfibi BMP–3F dapat diawasi oleh empat personil Tim Techrep (tim pengawasan produksi) dari Korps Marinir. Selain itu Korps Marinir juga mengirimkan enam prajuritnya dari Resimen Kavaleri untuk dapat mengikuti pelatihan pengoperasian dan pemeliharaan tank terebut. Pelaksanaan pelatihan dilaksanakan selama lima bulan di Pusat Pelatihan Pabrik Kendaraan Tempur Kurganmashzavod, Kurgan, Rusia. Para prajurit Korps Marinir tiba pada pertengahan bulan Juni 2013 lalu dan selesai melaksanakan pelatihan pada bulan November 2013. Semua materi pelajaran diajarkan oleh para instruktur yang memiliki pengalaman yang cukup tinggi dalam hal perkembangan dan teknologi kendaran tempur Rusia. Materi pelajaran yang diterimakan dalam bentuk teori di kelas, praktek lapangan di pabrik, serta praktek uji coba senjata, mengemudi di darat, laut, serta praktek melaksanakan evakuasi tank di Ground Test Facility yang berjarak sekitar 30 km di luar kota Kurgan, Rusia. Materi pelajaran yang diterima, antara lain, pengetahuan tentang pengoperasian tata tembak senjata dan pemeliharaan persenjataan canggih yang ada di tank. Pengetahuan tentang pengoperasian dan pemeliharaan sistem komunikasi. pengetahuan tentang pemeliharaan dan perbaikan sistem kelistrikan. pengetahuan tentang pemeliharaan dan perawatan mesin, serta sistem penggerak dan suspensi hidrolis tank. pengetahuan tentang pengawakan dan mengoperasikan kendaraan tempur BREM-L sebagai kendaraan recovery dan kendaraan pendukung (supporting vehicle) untuk Tank Amfibi BMP-3F, yang memiliki peralatan mulai dari crane kapasitas 11 Ton, peralatan las aluminium, potong plat, dan peralatan perbengkelan lainnya guna mendukung perbaikan dan pemeliharaan Tank Amfibi BMP-3F, sampai dengan bongkar pasang mesin, transmisi, dan senjata utama (100 mm beserta turret-nya). BMP, dalam bahasa Rusia Boyevaya Mashina Pyekhota, Sebelumnya TNI AL sudah memperoleh Tank BMP-3F pada tahun 2010 sebanyak 17 unit, jadi total semuanya sebanyak 54 unit. BMP-3F akan menjadi kekuatan utama marinir sebagai bagian dari komponen Sistem Senjata Armada Terpadu (SSAT) TNI AL. Kontrak pembeliannya 37 unit BMP-3F resmi ditandatangi oleh Kepala Badan Sarana Pertahanan (Kabaranahan) Kemhan Mayjen TNI Ediwan Prabowo bersama Kepala Perwakilan JSC Rosoboronexport (Rusia), Jumat, 11Mei 2012, di Kantor Kementrian pertahanan (Kemhan) RI. Selain kontrak pembelian dilakukan juga penandatanganan kerjasama Transfers of Technology (ToT) yang memungkinkan kedepanya indonesia bisa memproduksi sendiri Tank BMP 3F. Rencananya TNI AL, akan melengkapi BMP-3F menjadi satu batalion. 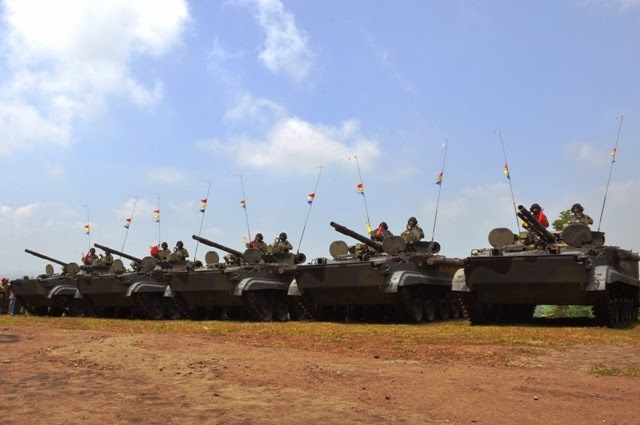 Menhan merencanakan kebutuhan ranpur untuk AL sebanyak 95 unit terdiri dari 81 unit BMP-3F, 10 unit BMP-3FK (versi komando), dan 4 unit BREM-L (versi bengkel). Dengan kehadiran ranpur tersebut Indonesia memasuki masa baru kendaraan tempur invantri amfibi. Indonesia menandatangani kontrak dengan Rusia untuk pengadaan 37 unit kendaraan tempur amfibi untuk Marinir TNI AL senilai lebih dari $ 100 juta. Pengadaan 37 unit tank amfibi BMP-3F dari Rusia ini merupakan program pengadaan 2012. BMP-3 dirancang berkemampuan amfibi penuh, melaju di permukaan air memakai sistem hidrojet, bukan sistem penggerak rantai roda seperti pada BMP-1 dan BMP-2. Kecepatan berenang maksimal 10 km/jam, daya tahan berenang selama 7 jam. 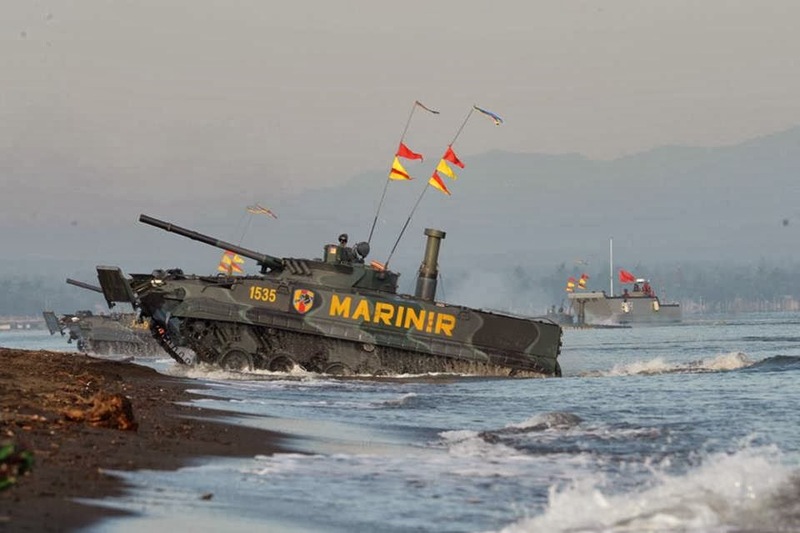 BMP-3F, varian BMP-3 yang dirancang untuk pendaratan amfibi Marinir AL terdapat tambahan snorkel di atas badan belakang dan alat pemecah ombak di depan badan kendaraan. Mampu berenang pada level sea state 3, akurasi tembakan sambil berenang masih akurat pada sea state level 2. Sea state adalah indikator kondisi gelombang laut menurut Badan Meteorologi Dunia, level 2 berarti tinggi gelombang berkisar hingga setengah meter, level 3 berarti tinggi gelombang berkisar hingga 1,25 meter. BMP-3F mempunyai kecepatan di medan berlumpur 45 km, 70 km di jalan raya, 10 km di air dan mampu berjalan mundur dengan kecepatan 20 km. Kemampuan kendaraan tempur (ranpur) ini selain bisa beroperasi di darat, dia juga bisa memusnahkan musuh dari air. Oleh sebab itu, ranpur ini disebut sebagai tank amphibi yang tangguh. Ranpur BMP-3F mampu melaju dengan kecepatan 70 Km/jam di darat ini juga dilengkapi dengan sistem sirkulasi udara (NBC) yang berguna untuk menanggulangi peperangan Nuklir, Biologi dan Kimia (Nubika). BMP 3F merupakan salah satu ranpur infanteri bersenjata berat yang disegani di seluruh dunia. Dilengkapi dengan alat komunikasi R 173 dengan jarak jangkau maksimum 12 km. Sementara Jika keluar malam, tank ini memiliki sinar inframerah dan teropong bidik sasaran. Sementara untuk sistem operasional persenjataan tank yang mampu menampung 10 orang personel yang terdiri dari 7 orang pasukan dan 3 orang awak ini menggunakan sistem manual dan elektrik. Untuk pengerahan cepat, unit BMP-3 mudah diangkut dengan pesawat angkut taktis C-130 Hercules atau Antonov An-12. Pesawat kargo jumbo An-124 Ruslan mampu memuat 4 unit. Bahkan helikopter angkut berat Mi-26 bisa mendrop BMP-3 menggunakan platform parasut khusus. Fleksibilitas, ketangguhan di segala medan, kekuatan pemukulnya BMP-3 menjadikan senjata utama sebagai kendaraan tempur infantri andalan dalam angkatan bersenjata di berbagai negara termasuk Indonesia. Tercatat ada 10 negara yang menggunakan BMP-3 yaitu Rusia, UEA, Venezuela, Kuwait, Korsel, Sri Lanka, Cyprus, Indonesia, Ukraina, Azerbaijan, dan Yunani. Bahkan yang mengejutkan, Korea Selatan yang dikenal pengasup setia teknologi militer dari Amerika Serikat, nyatanya juga memiliki 70 unit BMP-3F. BMP–3F yang diproduksi oleh Rusia adalah kendaraan tempur lapis baja yang bisa dikatakan sempurna dari segi teknologi dan kebutuhan pertempuran masa kini (Pertempuran Asimetris). Awalnya angkatan bersenjata Rusia mulai menggunakan Ranpur jenis BMP sejak tahun 1980 dengan type BMP–2 (sekelas BVP-2 Slovakia, seperti yang dimiliki Marinir TNI AL), pada akhir dasa warsa 1980-an. Hasil uji coba dalam iklim yang berbeda, baik di darat maupun di laut menegaskan efisiensi dan efektifitas yang tinggi pada BMP–3 F.
BMP–3F memiliki beberapa fitur khusus antara lain Kontruksi (chasis) BMP–3F memungkinkan untuk dimodernisasi, mudah perawatannya dan minim pemeliharaan. Dengan adanya beberapa penyempurnaan BMP–3F menjadi ranpur segala medan yang cukup berat, namun hal ini bisa diimbangi dengan manuver dan pertahanan diri yang lebih baik. BMP–3F mengaplikasi persenjataan baru (SKS Arteleri – Roket – Meriam) dengan sistem kontrol penembakan secara otomatis. BMP-3F mampu menembak tepat dari segala jenis senjata saat bergerak karena BMP-3F sudah menggunkan skema balok pengontrol penembakan otomatis yang baru (pola stabilizer sistem baru). Kunstruksi persenjataan BMP–3F merupakan penggabungan dalam satu komponen (single-turet) yakni Meriam, peluncur roket berkaliber 100mm, kanon otomatis berkaliber 30 mm dan Mitraliur berkaliber 7,62 mm. Penggabungan ini memungkinkan awak ranpur dapat memilih dengan cepat keperluan penggunaan senjata dalam situasi tempur tergantung dari sasaran yang diinginkan baik darat, laut maupun udara. Sistim pengontrol penembakan otomatis yang terdiri dari stabilisator senjata alat pembidik, kombinasi dengan stabilisasi pembidikan dalam 2 bidang : Azimut dan Elevasi (tinggi di atas permukaan laut) alat pengukur jarak/ lasser, alat pembidik komandan kendaraan, alat perhitungan lintasan tembakan, alat pengumpul data. Sistem pengontrol penembakan otomatis itu memberi kesempatan kepada satuan infantry melaksanakan tugas taktis yang mereka hadapi (KSIT), penggunaan senjata secara efisien dan memperlihatkan keunggulannya dibandingkan dengan system pengontrol penembakan yang tidak otomatis. Alat sistem pengontrol penembakan otomatis BMP–3F mampu mempertimbangkan berbagai data (diturunkannya atau dinaikannya alat pengontrol BMP-3F) untuk bidikan tepat, oleh karena itu penembakan dari segala jenis senjata akan selalu tepat. Hasil penembakan yang tepat sama ketika BMP–3 digunakan di pegunungan atau menembaki sasaran udara seperti helikopter yang terbang hover/terbang diam. Untuk menembak dengan roket kendali atau peluru berkaliber 100 mm dan peluru berkaliber 30 mm hanya perlu ditekan satu kenop, fungsi pembidik tidak berubah sambil menembak dari segala jenis senjata, amunisi bagi meriam mesin berkaliber 30 mm dan mitaliur (kal 76,2mm) dimasukkan ke dalam "pitaban" peluru yang tidak putus-putusnya dan dapat digunakan lagi tanpa diisi kembali, peluru fragmentation/ asap dan brisan/pecah berkaliber 100 mm terletak di dalam otomat pengisian yang memungkinkan menembak 10 peluru/menit. Jika dibandingkan dengan kendaraan berlapis baja, baik buatan Rusia maupun buatan negara Barat, maka bisa dilihat kekhususan prinsipil yang utama BMP–3 F, yaitu bahwa seksi motor transmisi ditempatkan di bagian belakang badan BMP – 3 F dan di bagian depan badan BMP–3 F dipasang tiga mitraliur PKT dan PKTM serta ditempatkan seksi pasukan infantri pendarat karena itu efisiensi tembakan sepanjang arah gerakan BMP – 3 F jadi meningkat. Jika pasukan pendarat berada diluar BMP–3 F pengemudi sendiri mampu menembak dari mitraliur–mitraliur itu, persediaan amunisi untuk mitraliur berkaliber 7,62 mm berjumlah 6.000 peluru. Berkat mitraliur itu kekuatan gempur BMP–3F meningkat, untuk dapat menghancurkan musuh yang berjarak dekat sedang. Data dari “Jane’s Soviet Intelligence Review” menyatakan bahwa spesialis militer dari Negara-negara barat menilai tinggi kemampuan BMP–3F. Sebagai perbandingan antara BMP–3 F dengan ranpur lain yakni Ranpur ini memungkinkan melaksanakan berbagai tugas yang dihadapi dan dapat digunakan sebagai bantuan tembak jarak jauh/ dekat dan sebagai Ranpur pengangkut personil berlapis baja penghancur Tank (Ranpur lain) dengan Roket. BMP–3 F dapat digunakan bersama Infanteri untuk meningkatkan kemampuan anti Tank dengan bantuan tembak jarak jauh atau dekat ketika jumlah Tank dikurangi. Pada saat ini di negara barat belum ada panser tempur yang mempunyai kekuatan menyerupai seperti BMP–3 F. Hasil perbandingan Ranpur BMP–3 F dengan Ranpur USA M2 "Bradley" menunjukkan bahwa BMP–3 F mengungguli M2 dalam daya gerak dan daya tembak. BMP-3, tipe 3F dirancang dengan kemampuan tambahan untuk bisa berenang dengan lebih baik, yakni mampu menantang ombak laut di level 2, dan bisa beroperasi di laut selama 7 jam. Untuk menunjang kemampuan amfibinya, BMP-3F dapat dilengkapi snorkel. Senjata andalan BMP-3F adalah kanon kaliber 100 mm. Kanon ini dirancang untuk menembakkan peluru/ roket non-kendali (shell). Kanon jenis ini masuk dalam kategori balistik sedang, dengan kecepatan tembak berkisar 250m/detik. Selain itu terdapat platform peluncur rudal kendali anti tank (ATGM), baik yang diluncurkan langsung melalui laras meriam (laser guided system) maupun yang terpasang pada badan panser. diri dari dua bidang stabilisator dari pembidik kaca utama dan sebuah sensor gyroscope. Konstruksi persenjataan BMP-3F merupakan penggabungan dalam satu komponen (single-turet): meriam, peluncur roket berkaliber 100 mm, kanon otomatis berkaliber 30 mm dan mitraliur berkaliber 7,62 mm. Dengan penggabungan ini memungkinkan awak tank dapat memilih model keperluan penggunaan senjata yang tersedia dikaitkan dengan situasi, kondisi serta medan tempur, tergantung sasaran yang dipilih untuk dihancurkan baik sasaran di darat, laut maupun udara. 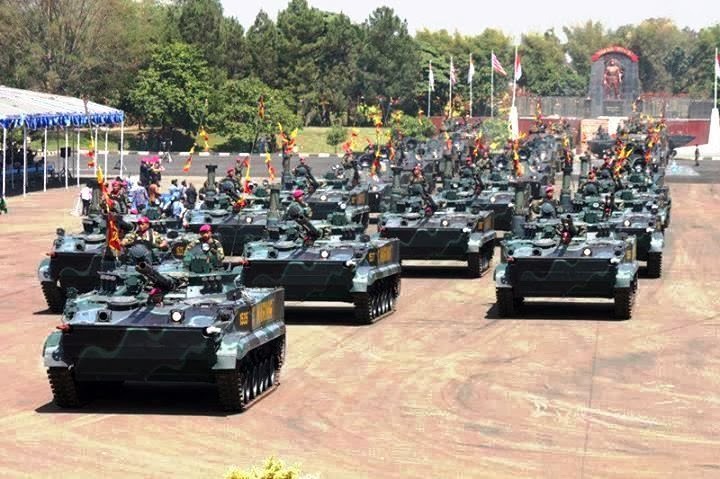 BMP-3F memiliki bobot kurang lebih 18,7 ton, panjang 8 meter, lebar 3,5 meter dan tinggi 2,5 meter, kapasitas awak 3 orang serta 7 personel pasukan bersenjata lengkap. Bila dipandang dari segi bobot, BMP-3F kini menduduki kendaraan tempur kavaleri terberat yang dimiliki Korps Marinir, bahkan menjadi arsenal ranpur kelas berat nomer satu dibanding beragam jenis tank yang dimiliki Marinir. Concordant government and industry sources, Singapore has signed in 2013 a contract for the purchase of six A330 MRTT tanker. The device supplied by Airbus Defence & Space, was preferred by the island state to its American and Israeli competitors. If confirmed, this good news will mark another commercial success for the European aircraft-refueling already delivered four countries. Asked Airbus Defence & Space did not wish to comment on the information. 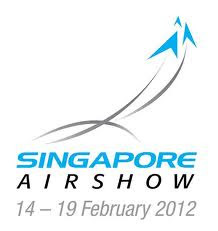 Singapore had expressed several years there is a need to replace its four KC-135R Stratotanker current. Facing the MRTT, the Israeli IAI proposed including its Boeing 767 MMTT (Multi Mission Tanker Transport) solution which was notably used by Brazil against the A330 MRTT because of its lower price. American side, the offer was originally on the KC-135R "renovated", although it is possible that Boeing has also highlighted its new KC-46A, with deliveries to the U.S. Air Force should not begin before 2017. Extremely secretive about its arms purchases, Singapore has never communicated on the progress of the acquisition process. The new supply of the island-state will be mainly utilized to supply fuel to the few hundred combat aircraft available to the local Air Force (F-15SG and F-16C / D Block 52), in particular to deploy abroad during international exercises. Close partnerships between Australia and Singapore in the field of training could help tip the balance in favor of MRTT Airbus already delivered to the Air Force Canberra. After the UK, Australia, UAE, Saudi Arabia and Singapore, the A330 MRTT could hang India to his list of conquests. 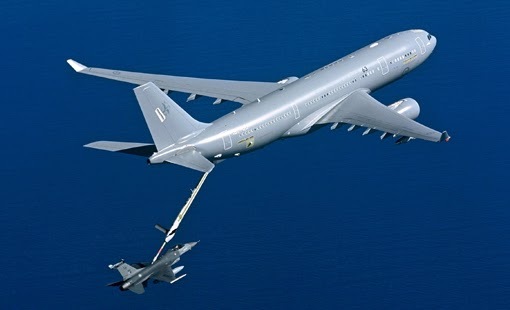 New Delhi is indeed entered for more than a year in exclusive talks with Airbus for the purchase of a batch of six A330 MRTT for renovating its fleet of tanker planes. Opportunities also exist in South Korea. In France, the MRTT folder advance, with notification of contract expected by the end of August for the acquisition of the first devices that will come to replace the C-135 Air Force. A new technical and financial proposal should be submitted Airbus these days the DGA and the Air Force and will be the subject of tough negotiations in the coming months. MANILA — The Naval Air Group (NAG), the Navy unit tasked to provide air support to the fleet, got a much needed boost following the activation on Tuesday of four Norman-Britten N2 Islander aircraft. This effectively raises the number of Islander planes operated by the Philippine Navy to six. Aside from the six PNIs, the NAG can now boast of operating three AgustaWestland AW-109 "Power" helicopter, four Cessna light utility planes, one R-22 "Raven" helicopter and one MBB-105 helicopter. Having these planes in the inventory greatly improves the Navy's capability to patrol and protect the country's vast territorial waters. Lt. (junior grade) Rommel Rodriquez, Philippine Fleet spokesman, said the four planes had just finished their mandatory "scheduled maintenance inspections" (SMIs). The procedure entails the repair and refurbishment of all aircraft systems and retraining of its flight crew. “SMIs are required for all Navy aircraft whenever they reach a total of 50, 100, 300 and 500 hours of flying time. This is necessary to ensure the safety and capability of our aircraft when they are deployed in the operational areas,” NAG chief Col. Caculitan said. After reactivation ceremonies Tuesday, the Philippine Navy Islanders (PNI) in naval parlance were immediately deployed to San Fernando City, La Union; Cebu; Zamboanga City and Palawan. 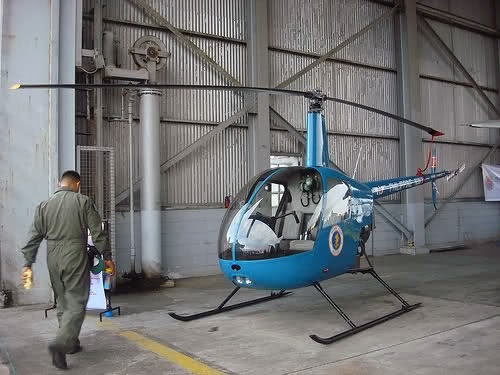 PNIs are capable of conducting maritime air surveillance, air drop, air lift and aerial reconnaissance missions at sea. Each aircraft has two pilots and four maintenance crew. Ready to rock and roll: the Aster-30 Missile System can knock fighter aircraft out of the skies from 70km. The Aster-30 Missile System is designed to take out both aircraft and missiles to guard an area against aerial threats - like a protective umbrella. Think goalkeeper, on an epic, 3D scale. Capable of taking out fighter aircraft from 70km away, the Aster-30 Surface-to-Air Missile System is not something you would want locked onto you. It is designed to swat multiple targets out of the skies within its effective area. And the missiles can travel at speeds of up to 4.5 times the speed of sound. 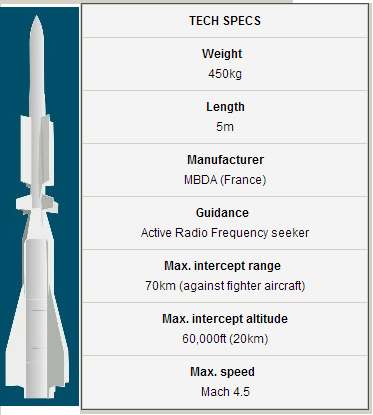 Operated by armed forces over the world such as France and Italy, the Aster family of missile systems is manufactured by a European consortium led by French-based MBDA Missile Systems. The Aster-30 will replace the ageing I-Hawk system which has been in service for over 30 years. It will complement the other cutting-edge air defence platforms such as the Surface-to-air PYthon and DERby (SPYDER) system to form a multi-layered Island Air Defence System. 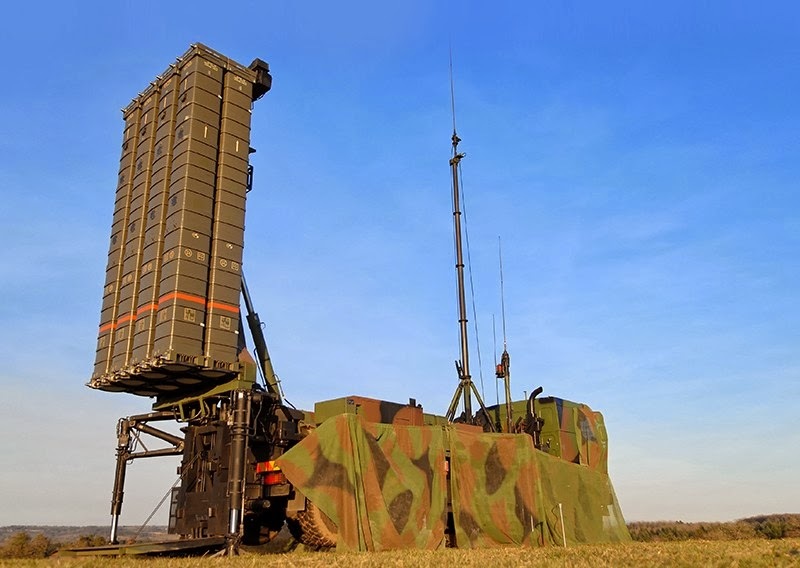 Announcing the acquisition in September last year, Minister for Defence Dr Ng Eng Hen said: "The Aster-30's capabilities are many times more potent than our current I-Hawk ground-based air defence system. "The Aster will allow us to engage multiple threats simultaneously and from a longer distance." It can be loaded with eight missiles at a time and can engage multiple targets at the same time. This next-generation medium-range surface-to-air missile system can be operated in all weather conditions. The Aster-30 is designed for network integration, which allows it to tap on the real-time integrated air situation picture created by the Republic of Singapore Air Force’s array of sensors. It can engage a wide range of targets such as fighter aircraft, helicopters, Unmanned Aerial Vehicles and precision-guided munitions. Each missile has on-board radio transceivers and electronics to guide it towards the intended target. Each missile has a range of up to 70km against fighter aircraft, which allows it to take the best route towards its target in the effective intercept area. The missiles are designed to jettison the booster component once the fuel is depleted. This design means that the rocket is able to accelerate quickly without having to carry spent components. On January 24, 2014 at New Zealand Defence House in Wellington, New Zealand, Helene Quilter, Secretary of Defence and Russ Bartlett, President of Beechcraft Inc., of Wichita, Kansas signed a contract to replace the existing Beech King Air aircraft with the T-6 trainer aircraft. 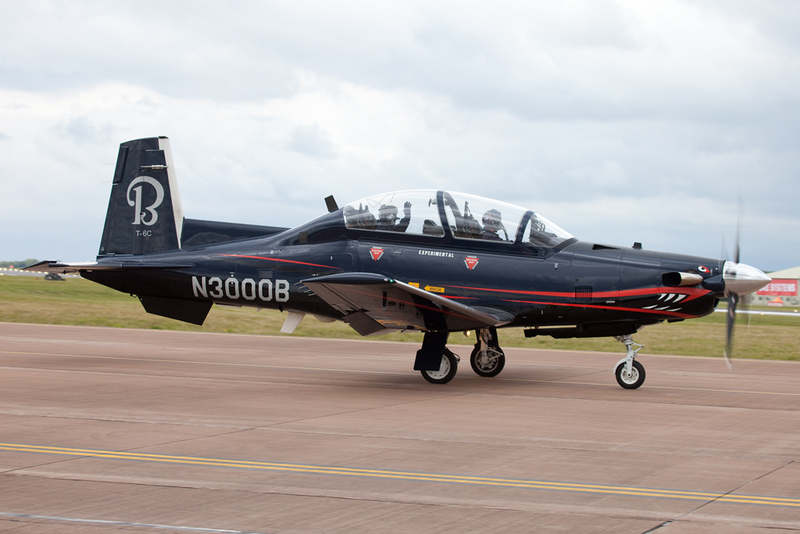 The first two new T-6 trainer aircraft are due to arrive in New Zealand later this year. Beechcraft’s contract will support approximately 550 U.S. jobs including Beechcraft’s production and engineering positions in Wichita. 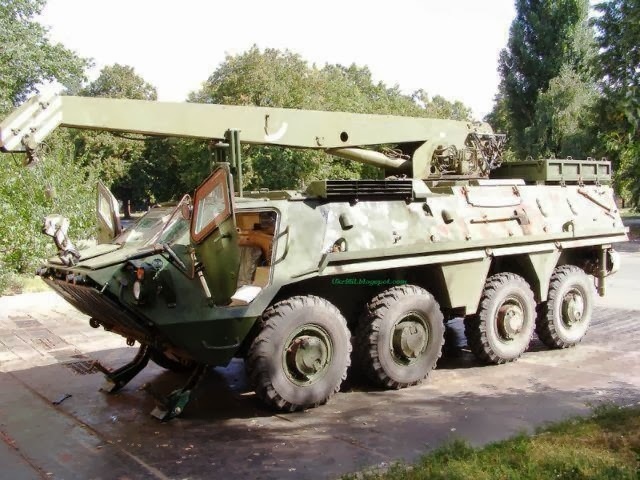 DHZP "Spetstehnoeksport", which is part of the SC "Ukroboronprom" won the tender of the Ministry of Defence of Indonesia to supply for the needs of the Indonesian Navy Party BTR-4 in the amount of 5 units. It is expected that a contract will be signed in the first quarter of this year. In August 2013 a delegation of the Ministry of Defence of Indonesia during his official visit to Ukraine acquainted with the challenges of BTR-4 at a Ukrainian landfills. Indonesian military provided praised performance characteristics and capabilities of modern Ukrainian armored personnel carriers. 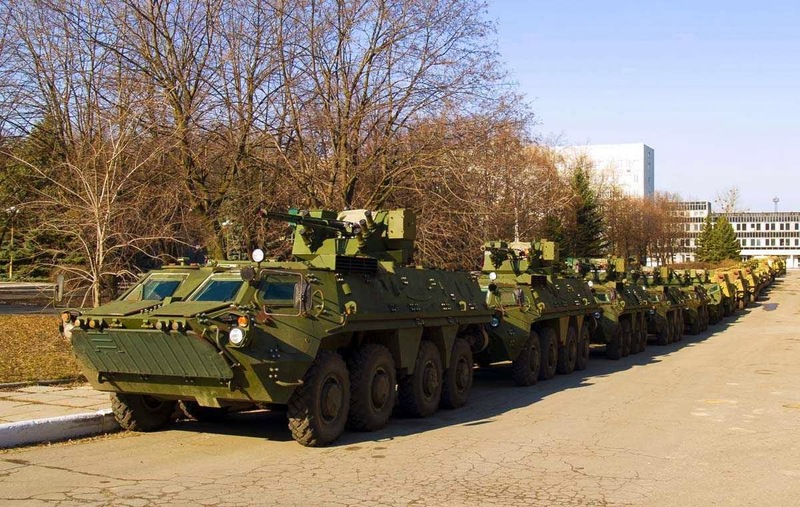 As previously reported, the Ukrainian BTR-4 according influential international magazine Army Technology entered the top ten armored vehicles globally in the protection, firepower and mobility. 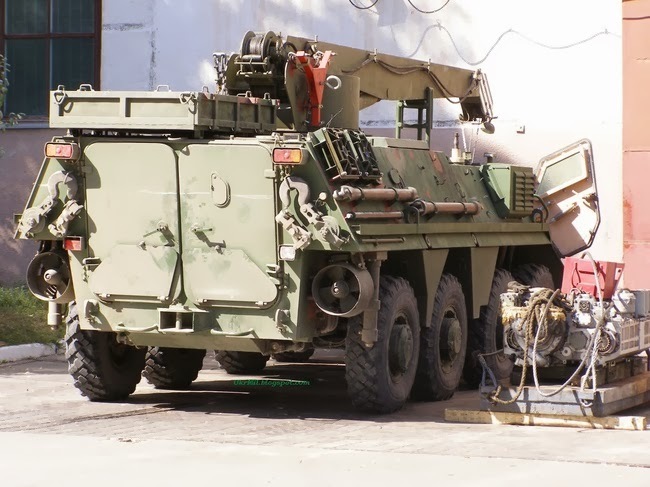 BTR-4 - armored develop SE "Kharkiv Machine Building Design Bureau named O.O.Morozova", adopted by the Armed Forces of Ukraine, serially produced for the SE "Factory named V.O.Malysheva." TNI Angkatan Laut telah memesan kapal perang yang saat ini tengah dibangun, diantaranya adalah tiga buah kapal selam, di mana dua kapal selam sedang dibangun di Korea Selatan dan satu kapal dibangun di PT PAL Surabaya. Selain itu dua kapal Perusak Kawal Rudal jenis Frigat 105 meter, serta tiga kapal fregat jenis Multi Roll Light Frigate (MRLF) dari Inggris. Demikian dikatakan Kepala Staf Angkatan Laut (Kasal) Laksamana TNI Dr. Marsetio saat memberikan pengarahan kepada para peserta Apel Komandan Satuan (AKS) Tahun 2014, bertempat di gedung Graha Samudera Bumimoro (GSB), Kobangdikal, Surabaya, Kamis (23/1/2014). “Dua kapal MRLF akan tiba pada bulan April dan September tahun 2014, sehingga pertanggungjawaban TNI Angkatan Laut tentang pembangunan kekuatan yang telah diberikan negara, akan kita tunjukkan kepada rakyat dan bangsa kita, melalui Sailing Pass pada HUT TNI Oktober nanti,” tegas Kasal. Kasal Laksamana TNI Dr. Marsetio juga menambahkan, selain kapal-kapal tersebut, TNI Angkatan Laut juga akan membangun dua kapal hidrografi dari Prancis, selain itu juga kapal jenis Tall Ship pengganti KRI Dewaruci dengan panjang 92 Meter yang nantinya akan mampu menampung sekitar 200 Kadet Akademi Angkatan Laut (AAL), serta pembelian 11 helikopter antikapal selam. Sedangkan dari dalam negeri, TNI Angkatan Laut juga telah memesan lagi 16 Kapal Cepat Roket (KCR) 60 Meter, dan 16 Kapal KCR 40 Meter yang dibangun dari berbagai galangan kapal dalam negeri, yakni di Batam dan Banten, kemudian memesan pula Kapal Angkatan Laut (KAL)-28 dan dua kapal perang jenis Landing Ship Tank (LST). Pada kesempatan tersebut, Kasal Laksamana TNI Dr. Marsetio menyampaikan pula bahwa, untuk menuju World Class Navy salah satunya dibutuhkan komponen kekuatan pertahanan yang besar, apalagi mengingat Indonesia adalah negara maritim terbesar di dunia, maka pada tahun ini TNI AL sedang terfokus pada proses pengadaan alutsista yang proses pembangunannya disesuaikan dengan Undang-Undang Industri Pertahanan Indonesia. “Ke depan, secara bertahap kita akan bangun alutsista di negeri kita sendiri, sehingga hal ini membangkitkan dan meningkatkan pertumbuhan ekonomi industri pertahanan negara kita,” ujarnya. AKS merupakan rangkaian dari kegiatan Rapim TNI AL Tahun 2014 dan Olah Yudha Renstra Tahun Anggaran 2015. Kegiatan ini diikuti oleh 650 peserta, yang terdiri dari: Para Pati Struktural TNI Angkatan Laut, Pati non-Struktural Angkatan Laut, para komandan strata jabatan Kolonel sampai dengan strata jabatan Mayor di seluruh Komando Utama (Kotama) TNI Angkatan Laut, para Kepala Unit Pelaksana Teknis Balakpus, para Asrena, Asintel, Asops, Aspers, Aslog Kotama dan Lantamal, para LO TNI Angkatan Laut yang berada di Kodam, Kostrad, dan Kohanudnas, Seklem Seskoal, Dirrena Kobangdikal, Dirrenbang AAL, serta perwira lainnya. Dalam kegiatan AKS disampaikan beberapa permasalahan di lingkungan TNI Angkatan Laut sesuai bidang. Paparan disampaikan oleh beberapa asisten Kotama yang ditunjuk, di antaranya Asintel Pangarmabar, Asops Pangarmatim, Aspers Dankormar, Dirlog Kobangdikal, Direnbang AAL, serta paparan tentang evaluasi kecelakaan alutsista oleh Kolonel Laut (P) Antonius W.U. Kegiatan AKS ini diselenggarakan setiap tahun dan bertujuan menyamakan persepsi dan pemahaman terhadap kebijakan-kebijakan Pemimpin TNI Angkatan Laut, dalam pembinaan dan pembangunan kekuatan ke dalam pelaksanaan tugas yang diemban oleh Komandan Satuan di lapangan. Diharapkan melalui Rapat Pimpinan (Rapim) dan Apel Komandan Satuan (AKS) TNI Angkatan Laut Tahun 2014, serta Olah Yudha Renstra Tahun Anggaran 2015, timbul kesamaan pemahaman seluruh perwira terhadap berbagai kebijakan pemimpin TNI Angkatan Laut, sehingga menjadi faktor pendorong bagi para pelaksana program dan kegiatan untuk lebih bersinergi dalam pembangunan TNI Angkatan Laut yang berkualitas, efektif dan efisien. 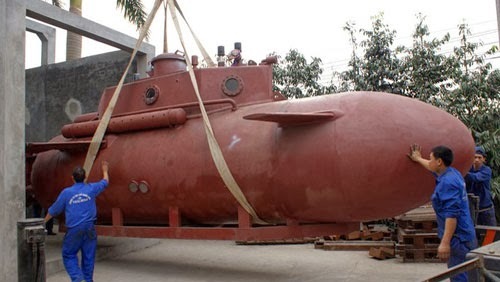 HANOI (Xinhua) -- After one week on trial, a private mini-submarine made by a Vietnamese mechanic can now work perfectly with its full functions. 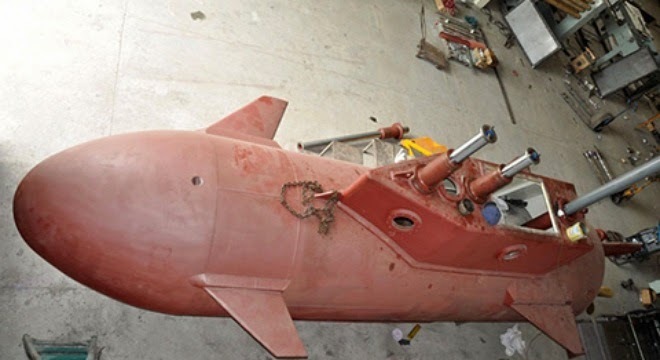 Nguyen Quoc Hoa, the one who performed the mini-submarine production, said on Local Lao Dong (Labor) online newspaper Thursday that machinery parts inside the mini-submarine operates well as originally designed. 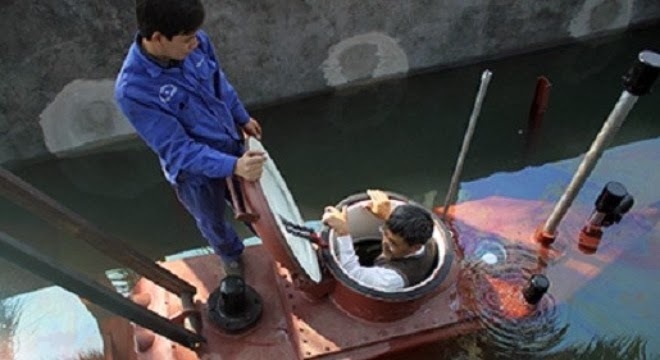 "Successful tests have been carried out with internal engines of the mini-vessel, including generator system, oxygen supply system, air filter and radar system," said Hoa. Specifically, the submarine managed to apply the advanced Air Independent Propulsion technology while diving, Hoa added. 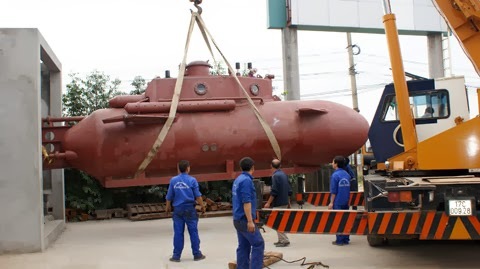 Hoa, a director of an engineering company in Vietnam's northern Thai Binh province, some 110 km southeast from capital Hanoi, started to produce a mini-submarine in early 2013. 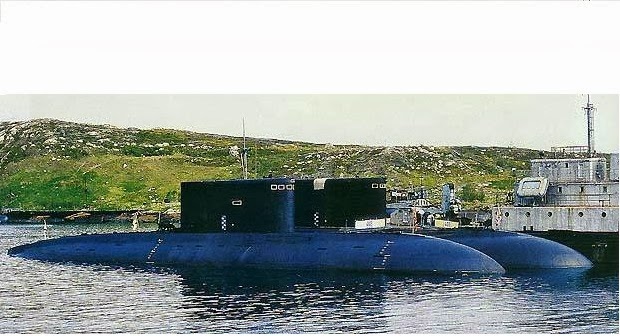 According to Hoa's design, the submarine has a 12-ton displacement, and is able to operate at a maximum depth of 50 meters and at a range of 800 km for 15 hours. The testing mini-submarine is designed to work at estuaries or shallow water level for civilian purposes of marine natural resources research, and environmental protection, said Hoa.